Today, we're welcoming back Jenny B. Jones with her second installment in the Katie Parker Productions young adult series. My granddaughter who doesn't like to read that much loved book one. I'll be giving her book two in this series, too. Welcome, Jenny. Why do you write the kind of books you do? I write humor because I love to make people laugh and love to keep things o the light side. There are enough downers in the world—the news, work, daily life. And I write YA because I have a heart for teenagers. And probably because I’ve yet to totally relinquish my own youth. Despite the Miss Clairol…and the Retinol cream. I’m a lot, lot busier. I rarely have any downtime, and when I do, I’m thinking about what I should be working on next. The time commitment is intense. And the photographers and paparazzi who hang outside my house and stalk me. They just will not leave girls like Britney Spears and me alone! Right! What are you reading right now? I’m currently reading an Anthony Horowitz YA book and a Janet Evanovich novel. Right now I’m writing the second book in my new YA series for Thomas Nelson. But I’m counting the day until my next book, The Big Picture, hits the shelves. It’s the third and final installment in the Katie Parker Production series. I’ve actually been tackling my dream vacation list. Last year I went to Europe and had an amazing time. I highly recommend it! And I just got back from Oahu a few days ago. Next on the list is a trip to Ireland and Scotland. I love to travel, but ironically I absolutely hate to fly. I’m such a weeny. So far I’ve kept it pretty southern—locations I know like Arkansas and Oklahoma. I’m also incorporating my travels in there, so my latest series that I’m working on is also based in New York City, a place I love! Without a doubt, it would be Carol Burnett. She is my hero. I would just spend the entire time gushing about her greatness, her influence in my life, and begging her to do the Tarzan yell. I grew up watching The Carol Burnett show, and she really influenced me in terms of comedy and a love for farce. 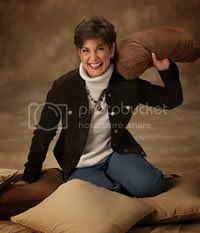 She is the reason we have shows like Saturday Night Life and other sketch comedy. I think the woman is flat-out brilliant. My husband and I totally agree with that. What are your hobbies, besides writing and reading? Wow, I've been a drama teacher, too. What is your most difficult writing obstacle, and how do you overcome it? Just writing in general. I read about the occasional author who just writes in a creative storm daily. I have no idea what that is like. Writing is really hard for me. I spend more time sitting and staring at a blank screen than I do the productive writing part. And unfortunately I work best under pressure (though it drives me nuts), so I get more creative as the time draws near to a deadline. I used to think you had to have this complete novel in your head in order to qualify as a writer or to justify sitting down at the computer. SO not true. If that’s what you’re waiting for, you have to just park your tail in the seat and write. Even if it’s a single sentence or a blip of an idea. Surrender your gifts, talents, and dreams to God. A turning point came for me when I just said, “God, here’s my dream of being a writer. Take it. It’s yours. Just give me something to fill its place. If I wake up tomorrow and want to be a vet, then I’ll go with it.” A few months later my ship came in and I had a contract. And practically speaking, invest in your future career—go to conferences, read the books recommended for writers, and try to write daily—even if it’s just a really well constructed email. Some days that’s all I accomplish—well, that and my chocolate consumption quota. Six months into her stay with her foster parents, Katie Parker is finally adjusting to her new family. But after a tornado rips through the town of In Between, nothing is ever the same again. When her foster mom, Millie, is diagnosed with cancer, Katie begins to doubt if God really does care. What will happen to Katie? Could she possibly have to leave In Between and the family she's come to depend on? Things spiral even further out of control when Katie humorously juggles a science fair project, a malfunctioning best friend, spring break plans, and holding the attention of her own Prince Charming. It's going to take more than a glass slipper and some fairy dust to fix Katie Parker's problems. But will help come in time? Hopefully my revamped website will be up and running by this time. It’s at www.jennybjones.com . 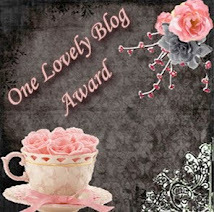 And you can find my blog at http://jennybjones.blogspot.com. Please stop by there. I’m giving away five copies of book three, The Big Picture, all next week! Jenny, thank you for spending this time with us. Readers, check out her web site and blog. Want a copy of On the Loose? Leave a comment. Kay C wins a copy of Prodigal Song by James E. Robinson. 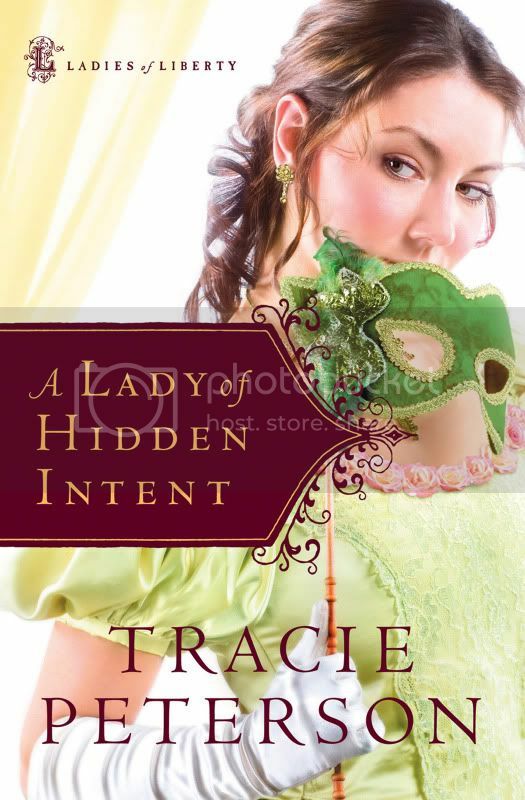 Patty wins a copy of A Lady of Hidden Intent by Tracie Peterson. Miss Bookworm wins a copy of A soldier's Family by Cheryl Wyatt. Send me an email with your mailing address, so we can get the books to you. There's a link in my profile. I'm happy to welcome Maureen Lang back to the blog with an interview about her latest book, On Sparrow Hill. Welcome, Maureen. Why do you write the kind of books you do? The first thought that usually comes to mind about this is that I write books I want to be reading. That’s the fast and simple answer, but it’s really more than that. I love books; I specifically love books that honor God. I’m convinced God uses books of all kinds to touch, teach, and grow us. This will probably sound cliché, but it was the day I married my husband. I’m crazy about the guy. He’s taught me so many things, and we’ve shared so much it’s impossible not to be most thankful for him. Surprisingly, being published hasn’t changed my life as much as I thought it would! It’s one of those things many people believe: having a dream come true will change everything. But the fact is I’d still be writing, whether or not I became published, I’d still attend writer’s group meetings, I’d still attend conferences. Being published has undoubtedly affirmed my writing and brings me great happiness when others tell me they enjoy my books, but the actual process — putting characters to paper — is the same. And since I still do the laundry, cooking, cleaning, and serve my family, the only thing that’s changed is that I get more feedback from readers than I ever did before I was published. I’m reading two manuscripts, one for a critique partner and one for endorsement to be released next year. I’m also reading two novels (depending on my mood). One is secular, called Case Histories by Kate Atkinson (not for the gentle reader) and The Elevator by Angela Hunt (wonderful writer!). I’m often reading more than one book at a time, and I don’t have any trouble keeping all the characters straight. If I can’t remember one set of characters when I pick up the book again, I usually don’t go back to it. I’m working on a contemporary women’s fiction novel that will release through Tyndale in the Fall of ’08. This is one story I have trouble talking about in short sound bites! Hannah Williams wants to make up for not being there when her younger sister was desperate enough to attempt a murder-suicide. When she fails, it lands her sister in prison instead. So Hannah has put her own life on hold for over six years, planning and saving for the day she would return to make up for failing to be there when she was needed most. But despite her goal, her sister is convinced she doesn’t need help, especially when she learns Hannah has been refusing the attention of the man she loves all these years. The working title is “My Sister Dilly” but I’m not sure if that is set in stone yet! Sounds wonderful. We'll want you back for an interview when it comes out. What would be your dream vacation? Europe: Brussels, Prague, Rome . . . Someplace where history comes alive, I can learn and be fascinated by everything around me. I like to choose settings I’m fairly familiar with, or at least have done some research about to feel like it’s familiar. There are some places that might feel over-exploited in fiction, but really I think just about anywhere can be brought to life with fresh eyes and new perspective. Sometimes the setting is an important part of the plot, which makes authenticity more important. For example, in the project I’m working on now, the setting is the Midwestern town the heroine left behind. She doesn’t want to live there, but feels obligated to return in order to take care of her sister. Although I’ve never lived in a small, Midwestern town, I’m familiar with such surroundings because that’s the kind of setting in which my husband grew up. In this case research was easy, but for a story where the setting impacts the character and their decisions, it has to be part of the story, almost like another character. Anne Lamott. I think she has a lot to teach writers! I’ve become so boring. I used to love painting ceramics, but between family demands and the fact that I try not to have too many breakable items around the house (I have a handicapped son who loves to pick things up, look at them, then set them down in the most precarious spots!) I haven’t done much of that lately. If I had time, I might like stamping and making pretty stationery. 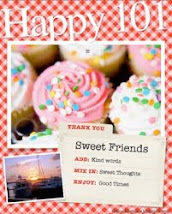 My sister has made some really lovely cards and it looks like fun. All of the other demands in my life. Each of us has been given the same 24 hours in a day, but it seems like my hours disappear faster than ever! I can only write while my boys are in school, which limits my time. I haven’t figured out how to overcome this problem, although things like consistent housework, fancy cooking, and entertaining have gone by the wayside. It would be nice to be able to do it all, but I just can’t. I know what you mean. What advice would you give to a beginning author? Don’t give up! I know this business can be discouraging, even intimidating, but if you keep writing, keep growing by sharing your work with others, staying involved in writer’s groups and loops, there’s a very good chance you’ll see your work in print. I’ve seen writers wait a long time, but the ones who succeed are the ones who’ve stuck with it and continued to learn through workshops and critique. 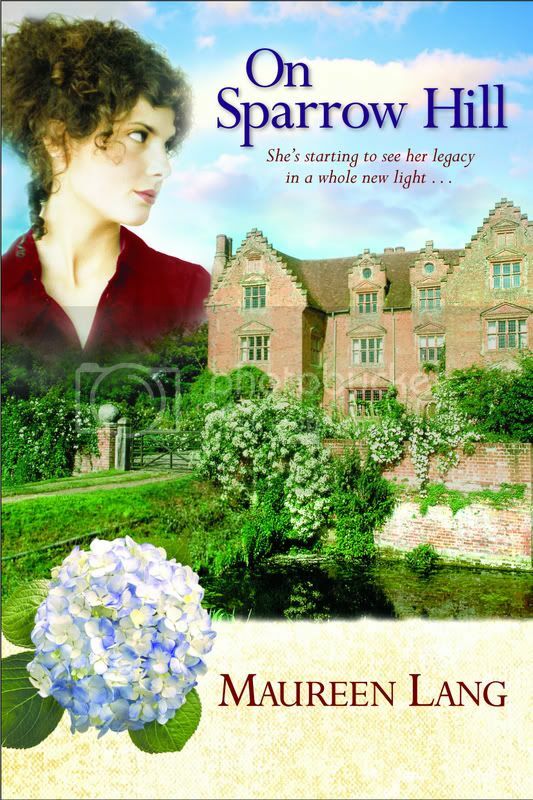 On Sparrow Hill is the romantic sequel to The Oak Leaves, both published by Tyndale House. Like the first of this two-book series, On Sparrow Hill offers dual stories. Part of the book is set in contemporary times, the other in the Victorian era. On Sparrow Hill takes a European setting, with the English heroine an estate manager for the historic home now owned by a descendent of the Victorian characters in The Oak Leaves. She struggles with her attraction to the estate owner until he reveals his own feelings for her — but she knows his aristocratic mother would never approve. Through letters she finds in the family vault, the historic segment goes across the Irish Sea to a school for the “feebleminded” that was first envisioned in The Oak Leaves. In that thread, Berrie Hamilton (from The Oak Leaves) has one goal: to run the school Cosima Escott first envisioned. But when the brother of one of her students gets in the way, she isn’t sure what troubles her most: his temper or her unruly attraction to him. This story is more romantic than the first, which made it so much fun to write. Dana, also from The Oak Leaves, joins the contemporary story, and is dealing with a genetic disorder that was introduced in The Oak Leaves, the same genetic disorder I carry (Fragile X Syndrome). So this book is very special to me! I hope everyone who liked The Oak Leaves will enjoy On Sparrow Hill just as much. Maureen, thank you for spending time with us. I can hardly wait to read both of the books. Readers check out Maureen's web site. And leave a comment on this post for a chance to win a copy of On Sparrow Hill. 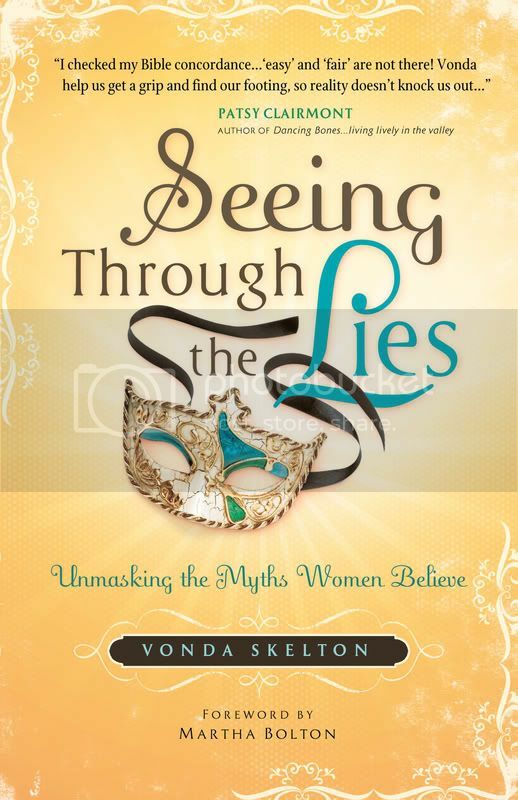 Today, we're talking with Vonda Skelton, author of the nonfiction book Seeing Through the Lies. Welcome, Vonda. You are writing nonfiction. Do you also write fiction? Hmmm. You mean besides the fact that I’d rather do almost anything than clean house and iron? Other women’s book authors have written about being domestic divas. I’m the Diva of the Domestically Disadvantaged. But I’m not sure I want your readers to know that. Instead, I want them to know that I’m so very thankful that God can take my messes in life and use them for His glory! I know what you mean. Tell us about your family. I’m blessed to have a wonderful family. My husband, Gary, and I have been married for almost 39 years. He is the love of my life, although it took me about 15 years to realize it. It took almost losing him for me to see what I had! We have two beautiful daughters, Christina and Nicole, two handsome sons-in-laws, Todd and Steve, and four grandchildren. Garrett (12), Ellie (9), Cole (6), and Mallory (3) take the sting out of growing older, plus they give me an endless supply of stories! We’re family who loves to laugh and play together. And we have the scars to prove it! I can't even remember my single life it was so long ago, or maybe I just don't want to remember. What other books have you written, and where can the readers of the blog find them? My three-book children’s series is called The Bitsy Burroughs Mysteries. Bitsy is a 12-year-old tomboy with a good heart who just can’t seem to keep herself out of trouble, especially when it comes to solving mysteries. The first book is Bitsy and the Mystery at Tybee Island, which was followed by Bitsy and the Mystery at Amelia Island. The third in the series, Bitsy and the Mystery at Hilton Head Island, will be released in April. The hardest part about writing the series is how to continue to get this poor pre-teen girl to all these cool islands! The books are all available at Amazon.com and most online bookstores. For signed, personalized copies, they can order them at my website, www.VondaSkelton.com. It’s funny you should ask that. My agent and I had a long brainstorming session just this week about the next non-fiction book. All I know so far is that it’ll be another book that uses humor to help women laugh, learn, and grow. And I’m in the “mulling” stages of a new book for kids. Thanks for asking, Lena. You can always reach me at my website, www.VondaSkelton.com. There, they’ll find information on my books, my speaking ministry to women, and on writing instruction. 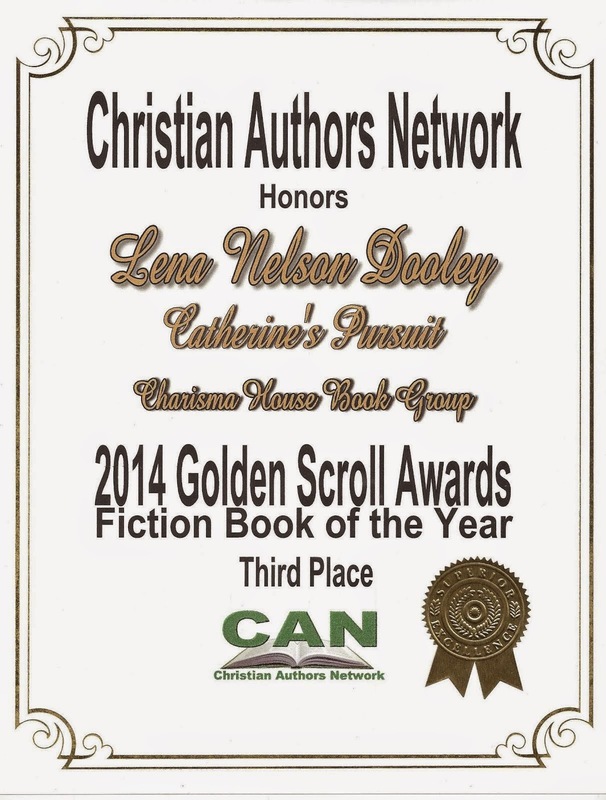 The homepage features The Christian Writer’s Den, a weekly blog about writing. There is also an area for kids called, Bitsy’s World, where kids can read excerpts from the Bitsy books and enter contests. I have two pages on Shoutlife.com (Youth Books and Christian Living), a page on CelebrateMoms.org, and a page on PinkCollarClub.net. You're all over the Net. What kinds of hobbies and leisure activities do you enjoy? This book was written out of my passion for women’s ministry. We—not just women, but all of us —are deceived by so many lies! They are woven throughout today’s culture. I wanted to help us get focused, or in some cases, refocused, on the timeless truths of God’s Word. I knew I could reach many more women through a book than I ever could reach through my speaking ministry. So, I started with the key points from my Celebrating Womanhood presentation, where we look at the seasons of a woman’s life and come to the conclusion that God can use each of us, no matter our age or situation. After several revisions and rethinking the needs of women, Seeing Through the Lies was born. · Your worth is not dependent on your beauty, your busyness, or your stuff. · A happy marriage is one that endures. · Motherhood is an honorable profession. · God has the power to overcome your fear. · You win when you lose. · Your life won’t be perfect until you reach perfection in heaven. · You can’t win God’s love because of your goodness, and you can’t lose His love because of your sin. And that, dear sisters, is the truth. Thank you, Vonda, for spending this time with us. Readers, you'll want to visit her web site to find out more about her ministry. And you'll want to leave a comment, but for a different reason from usual. When you leave a comment, you'll have a chance to win a special gift basket. Not only does it contain a copy of the book, it's filled with many other goodies. Happy Easter! James and I worshipped last night at our church, and the family won't be here for another hour, so I decided to run this interview. 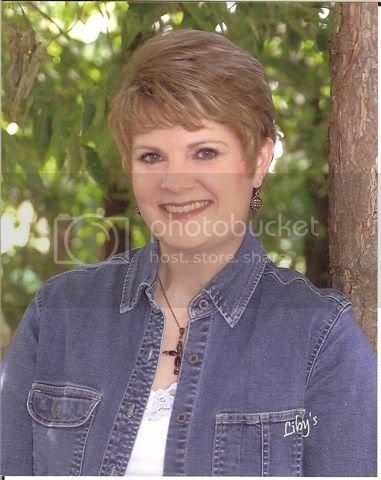 Mary Hawkins and I have been online friends for a long tim, her in Australia and me in Texas. I've read her books, and she's read mine. We've even been published by the same company. Along the way, we made a connection that has grown stronger over the years. I'm very happy to introduce you to her with her newest release. Welcome, Mary. (Hi, Ray.) Tell us how much of yourself you write into your characters. I have to say I never deliberately put any of myself into my characters. Inevitably this seems to happen, especially when dealing with spiritual truths and the Christian life that I know personally and hold very dear because they have already been proven in my own walk with Christ. However, in Return to Baragula a little of my nursing experiences crept in to the extent that a friend who just finished reading it commented on the amount of medical “stuff.” Quite surprised me. Thankfully she also commented how much she enjoyed the whole book! Mmm…quirky, and only the most? Actually that’s tough to choose and I’ve had to think hard. Some might say being close to sixty years old and going on that first of three mission and study teams to Africa or letting myself be persuaded to hold the tail of that crocodile in Ghana? But no…perhaps I should just go with the first thing that for some unknown reason sprang to mind after only a few moments. It was many years ago when I was a first year Bible College student. Our college was on the shores of a river that runs into Sydney Harbour. It was nighttime, we’d had the usual exhausting day of lectures and study. A few of us decided we needed some fresh air, and when someone supplied the fishing lines and raw meat, we threw our lines over the cement wall into the river. I was so excited to get that strong tug on the line. Thought it must be a huge fish. It was huge alright – a huge eel. As its twisting shape was reflected against the faint city lights this country girl’s immediate thought was snake. As it hurtled through the darkness and onto the grass, my scream made even the elderly principal race from his quarters some distance away to see who was being murdered. Took a long time to live that one down, even though a couple of students from Vanautu the next day enjoyed showing us how to cook and eat it! Yuck! I smile when people ask this and immediately blame my darling husband. Not until early in our marriage did I give him my diaries I started when I was fourteen. It was pretty nerve-racking waiting for his reactions to the ravings of those teenage years, the journey with Jesus through nursing training, Bible College, our own growing relationship. His comment? “You’re a writer. What are you going to do about it?” It blew me away. However, because I firmly believe the truth of the parable about the talents, I had to take that comment very seriously. I didn’t have a clue what I should write, where to even start. It sent me to prayer which led to the Famous Writers School correspondence course, articles, short stories and eventually novels. You’re asking this of a dedicated bookworm? I read anything and everything that captures my attention except anything with excessive violence, foul language and sexually explicit content. My favorite novels always need at least some touch of romance. 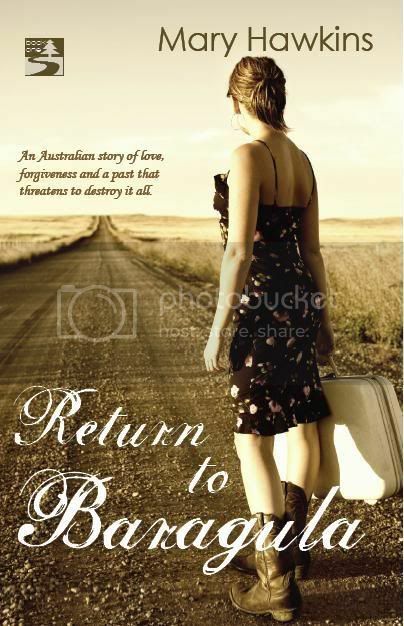 Since being a member of writers’ groups like American Christian Fiction Writers and Romance Writers of Australia I find myself mainly choosing books written by authors I’ve “met” there or heard about over the years whether face to face or via the internet. When I kept getting rejections for my first inspirational romance manuscript I wrote a story aimed at the Harlequin Mills & Boon market. That first attempt was rejected, but then from 1994 – 1998 had five HM&B medical romances released. I have often said that God must have been just waiting for me to listen to His leading. After 13 years of rejections, within weeks of my first medical romance being accepted I also had signed a contract with Heartsong Presents for that first book of my heart, Search for Tomorrow. Spent so much time over the years rewriting and rewriting that apprentice novel I couldn’t let other characters in it go. This led to the contemporary Heartsong Search series of three books plus a novella, Search for the Star, in the collection, Christmas Dreams. Barbour finally released them all in the one volume, Australia, in 2000. To my amazement and delight this became a Christian Booksellers Assoc bestseller. My four Great Southland historical Heartsong novels were also released in one volume, Australian Outback. That first novel rejected by HM&B was rewritten and became my second Heartsong, Damaged Dreams. A spin-off from that, Delayed Dreams, is a rejected manuscript I’m going to work on again one day, while there is a third “ideas” folder tucked away about a third Dreams story. The only other unpublished manuscript is the second book in the Baragula series, Outback From Baragula. That still needs some revision and Ark House Press have indicated they would like to have that later this year and hopefully it will become my 18th title. My 18th book release comes out in September. How do you keep your sanity in our run, run, run world? It is perhaps a little too easy to simply answer by spending time alone with God through His Word and prayer on a day by day basis. That is true and most certainly the very basics needed for a Christian to cope. What I need to also mention is that over the years, as I’ve sought to find out what God wants me to do, I’ve discovered He also at times wants me to say “no” to something I may really like to do, even feel I could and should be doing. But of course, because we do live in this crazy world, through no fault of our own - nothing we have done or should not have done - the going can still get really, really tough. Because I have proved over and over the truth of Psalm 91:1 and Isaiah 40:31, I love my ornament of the eagle spreading her wings over her babies in their nest. It is a reminder that no matter what happens, only as I try to abide in Christ moment by moment can I know the reality of that “shadow of the Almighty,” that peace, contentment and strength He alone can give to make me “run and not be weary…walk and not faint.” It is sheer joy to then “soar like the eagle” with Him. Often with great difficulty! Perhaps that’s one of the reasons why I enjoy writing series? I sometimes especially need to spend a lot of time on the main characters. I have a couple of Baby name books which I mainly use for the meaning and origins of Christian names and have also resorted to using the telephone directory when stumped for surnames. For my historicals I actually went to my two family association’s history records for names used in the nineteenth century. These questions keep getting harder, Lena! 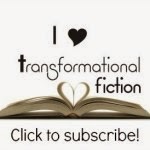 I want to give my readers a chance to get to know the authors, not jut the books they write. I have to honestly say I’ve never really thought about this before. From a very early age I was so blessed to be taught that all good and perfect things come from the Father above. Anything that may have been achieved in my life has simply been God by His Holy Spirit working in and through me. And He sure knows how hard He’s had to work at times as we’ve “co-labored” together! Well, after typing the above I asked my husband what he could suggest. He mentioned a few I dismissed. Then he reminded me about persevering all those years with that writers’ course -which arrived just as I discovered I was pregnant with our third little one. Then despite all the interruptions to writing, hanging in there with that first novel manuscript through ministries of church planting, reviving a church about to close its doors, caring for three children until one day a crying, awestruck Mary held her first release ever, Search for Tomorrow, in her trembling hands. And that expected baby was then our beautiful 23 year old daughter. So perhaps I would have to say having my first novel published would have to rate pretty high! Absolutely no idea! Someone else who knows me would have to try and answer that one. Truly an author's food. What is the problem with writing that was your greatest roadblock, and how did you overcome it? Enough self-discipline to sit on chair, put hands on keyboard and type chapter one – and start? Perhaps being a minister’s wife? I love people, and have so enjoyed all that’s involved in the ministry, even the ups and downs -although not necessarily while traveling through the down times. But I am a person whose writing really thrives on routine, thrives on time to think, to dream. There were so many interruptions, unavoidable distractions – including moving house several times – especially to England for two years before moving again to our current home. How to overcome? I still have to exercise huge amounts of self-discipline – and don’t always succeed. That first phone answering machine in the manse made a world of difference! Learning to say “no” helped tremendously. Having that first book published helped even more when church folk and the community realized I really was an A.U.T.H.O.R. Nowadays there are other delicious interruptions I have to combat – especially those gorgeous grandchildren! My first great grand will be at my house shortly. What advice would you give to an author just starting out? For a novelist? Educate yourself on the techniques of writing and story-telling. Know that as with any career you should always seek to keep on learning, honing your skills. Be prepared to rewrite, rewrite, rewrite. Include studying, keeping up to date with what is happening in the market you want to target. Joining a writers group like American Christian Fiction Writers is extremely helpful in all of that. But while doing all the above, simply write. Nothing teaches quite as well as experience. Write what you really enjoy reading the most yourself. Finish the whole manuscript! I’ve met far too many writers who have heaps of novels started, perhaps have written three chapters only. You should look on that finished manuscript as your apprenticeship. Perhaps you may even be able to revise it adequately so one day it will be your first published novel. Above all, if you are certain this is what God wants you to do, persevere! Baragula is a fictitious rural town set in the Hunter Valley a few hours drive north-west of Sydney in New South Wales. 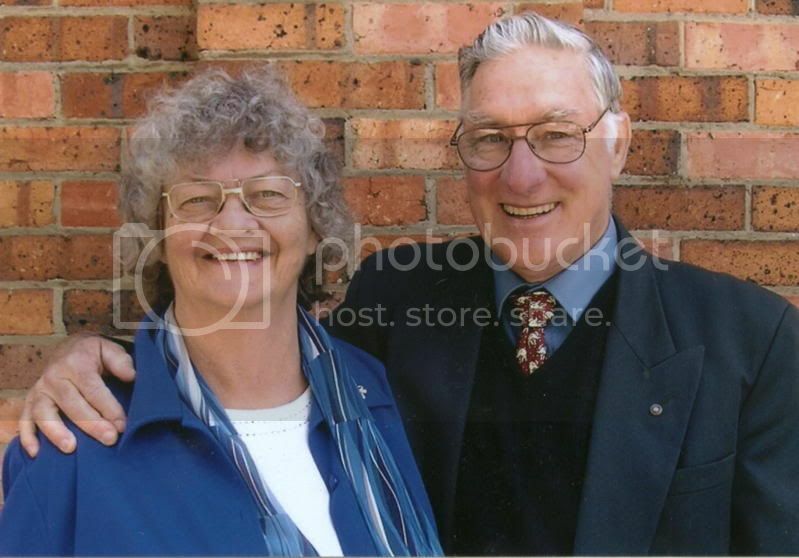 For over twenty years we ministered at a church in Maitland, a city on the banks of the Hunter River to the east of this area. Of course, Maitland, Newcastle at the mouth of the river, as well as Sydney crop up in this planned three book Baragula series. This is the first book, and the second, Outback From Baragula, takes some folk you will meet in Baragula to a large cattle station in the west of the state. Kingsway is their distributor in England. If you live anywhere except Australasia and would like an autographed copy, you can buy via pay pal from my website, but please contact me for the cost first. Besides more about Return to Baragula, there you can read and see more about my life, writing career as well as what my husband, Ray, is currently writing. Naturally, simply couldn’t resist putting up some family photos. 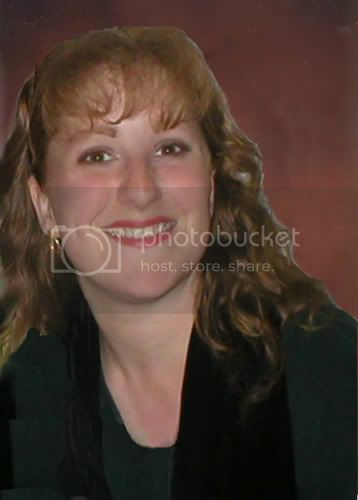 I even have photos from back in 1999 at the Romance Writers America National Convention in Chicago where I met my editor, Rebecca Germany, from Barbour as well as other great writers, especially at the Barbour author dinner. See if you can spot Tracie Petersen! Thank you, Mary, for spending this time with us. Readers, check out Mary's web site. Want a free copy? Leave a comment! Patty won Recipe for Murder by Lisa Harris. 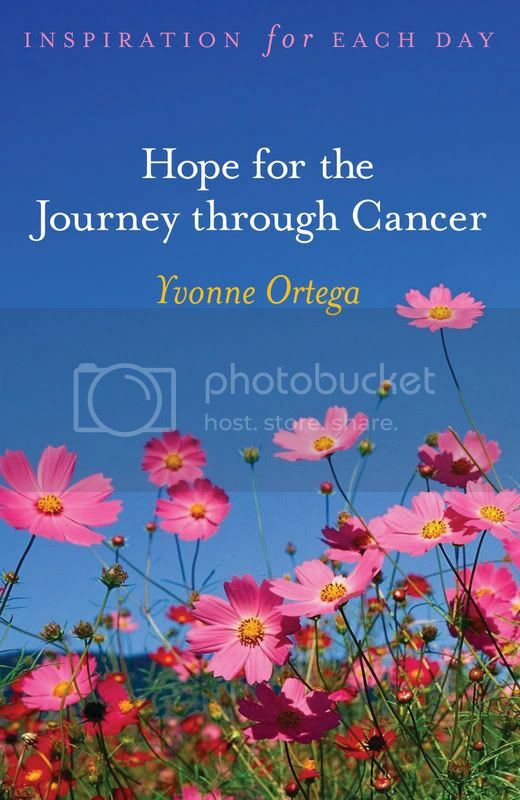 Betsy won Hope for the Journey Through Cancer by Yvonne Ortega. Janet Spaeth won Wildfire by Roxanne Rustand. All three of you need to send me your mailing address. There's a link to my email in my profile. Another interview coming up soon. I pray that each of you have a very blessed Easter. My family will be celebrating the birth of our Savior at my house. 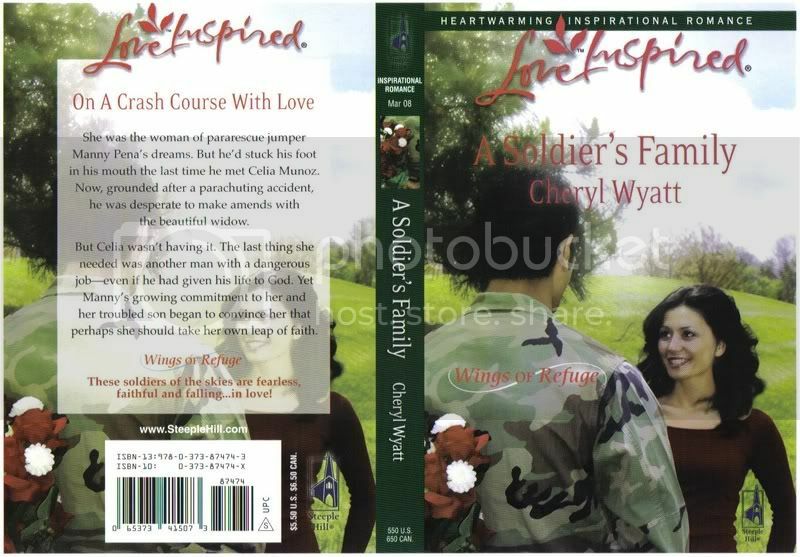 Today, we're welcoming Cheryl Wyatt back with the second book in her Love Inspired series, A Soldier's Family. Cheryl, why do you write the kind of books you do? I love romance and happily ever afters and have a great respect for our military. Also, I see a lot of military romance writers writing about Special Forces soldiers who are Navy SEALs but not a lot about PJs. What they do is so fascinating (they're the ones who drop behind enemy lines to rescue downed pilots, etc), I wanted to honor them in my books. When I got married and when my children were born. Also when I found out the doctors had misdiagnosed me for a year and a half. LOL! Sounds strange, but the previous diagnoses had no cure in sight...just excruciating pain forever. LOL! But when they figured out what was really going on, they realized they could surgically fix it. Major surgery yes, but major relief for me because pain was driving me out of my mind and straining every relationship in my life. And I'm so glad you're better. How has being published changed your life? It has helped me to know where to focus my writing efforts and my time, writing-wise. It has made me respect editors and published authors more because I had NO idea how very much work goes into one book. It is such a team effort. My editor congratulated me for getting a Top Pick on my debut novel recently, and I kind of felt like I should be congratulating her and the entire Steeple Hill team who worked to make my book the best it could be. Just finished For Women Only: What You Need to Know About the Inner Lives of Men by Shaunti Feldhahn and Next Door Daddy by Debra Clopton. Both great books. I'm also reading military and medical research on Mosaic Down Syndrome for a secondary character. I'm also starting a Harlequin NASCAR story by Abby Gaines. Bible-wise...I'm stuck in Isaiah at the moment. LOL! Actually, I'm in Isaiah right now, too. What is your current work in progress? I'm working on the next proposal in my USAF Pararescue Jumper series (Wings of Refuge) of which I've sold three to Steeple Hill. For my entire family, extended and all, to visit Disney together during the day...and take my children in the evening so I can hole myself up by the hotel pool and write. LOL! I like to pick unique places, mostly places I've lived or been to. I usually pick a real area but insert a fictional town in there somewhere. My Wings of Refuge series is set in beautiful, rustic Southern Illinois where I live, but there isn't really a town called Refuge here. There is, however, a huge wldlife refuge in the area that I fashioned fictional Refuge after. I cannot decide! Probably my husband, Billy, because I love him and you can't be in his presence without laughing. He's a hoot. We all love Billy. He is a special man. What are your hobbies, besides writing and reading? I love crafts of all sorts. Cardmaking. Woodworking. Clay. Anything creative. Habitually organizing. Acoustic guitar. I research as a hobby too. LOL! Knowing what and who to say no to. Seems like I keep cutting back and still don't have enough time. So I try to ask God to order my day and that helps a lot. I'm a perfectionist so I tend to spend too much time on things that don't really require as much attention and time as I give it. Read a lot. Write a lot. Pray. Persist. Be willing to hear hard things about your writing and determine to obey God every step. Stay as revisable as your stories...meaning let God use the journey to mold you into someone editors and agents would want to work with long-term. Write as worship first and foremost. He's your first readership. Now, Cheryl, tell us about the featured book. A Soldier's Family is book 2 in my Wings of Refuge series. A pararescue jumper (PJ) recovers in Refuge from a skydiving accident and befriends a young widow and her son. He is also a widower and doesn't feel worthy of another family since he lost his young son to drowning and feels responsible for the death. Fiesty Celia (heroine) vowed never to fall for guys packing heat again since she lost her husband in the line of duty as a cop. They met in book one, but didn't get off to a great start. They both come to realize that God wants more for them than they thought possible. This is not the official back cover blurb...Steeple Hill did a much better job. LOL! It's on the cover flat. 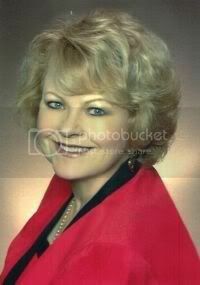 My Web site is www.cherylwyatt.com and my blog is www.scrollsquirrel.blogspot.com. I can be found on Shoutlife, My Space, etc, and there are links on my Web site for that. There is also a place to sign up for my author mailing list on the home page of my Web site. Thanks so much for featuring me, Lena! This was great fun. I hope readers enjoy the stories. Book one (A Soldier's Promise which received a Jan 2008 Top Pick! from Romantic Times) may still be available on Amazon and eharlequin. Thank you, Cheryl, for this special time with us. Readers, be sure and check out her two web sites. Want a free copy of her book? Leave a comment. (But don't forget to check back and see if you won. 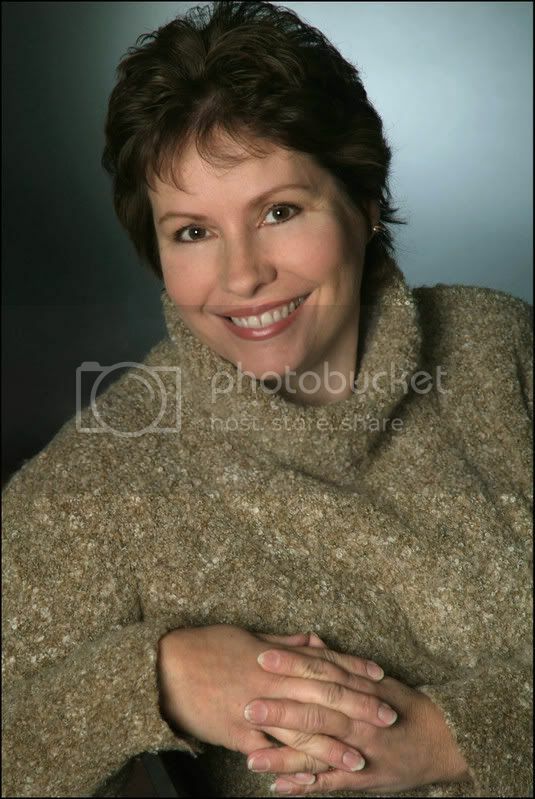 I'm happy to introduce you to Tracie Peterson, in case you haven't read any of her books. 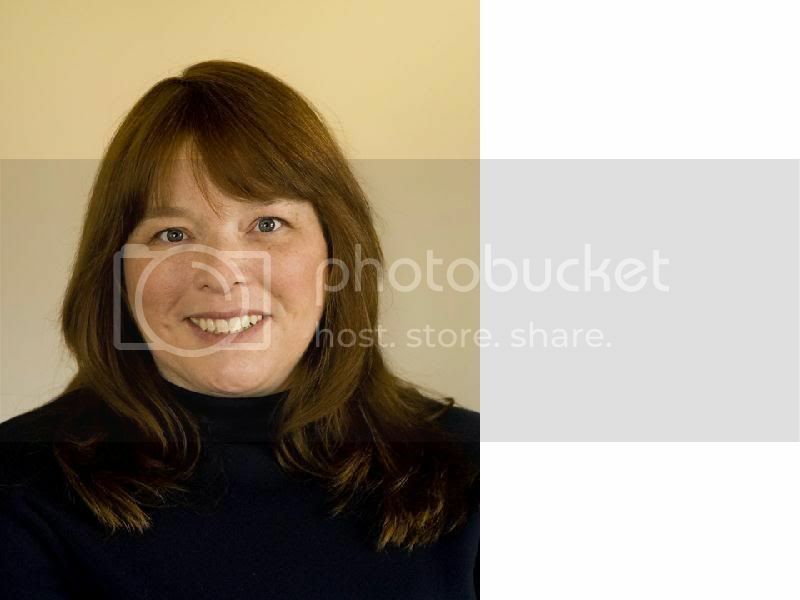 She is multi-published and a very popular author. I first had Tracie as a copy editor on my second novel. Back then, I was intimidated by editors. It wasn't her fault. I just felt that I knew so little. Then I met her at a conference, and she was so warm and friendly. Her husband Jim attended with her, and since we're from Scandanavian families, a bond was formed. That bond has grown across the years. When Tracie was acquisition editor for Heartsong, she bought seven manuscripts of mine. I highly respect her as an editor, I love to read her writing, and I count her a friend. Tracie, tell us how much of yourself you write into your characters. Hmmm, not really sure. I suppose the main one that comes to mind is attending the Glorietta Christian Writer’s conferences where I first met Jayce Oneal, a wonderful young man who has great writing potential. I thought he was so much fun and decided I’d use his name as a character in a book. 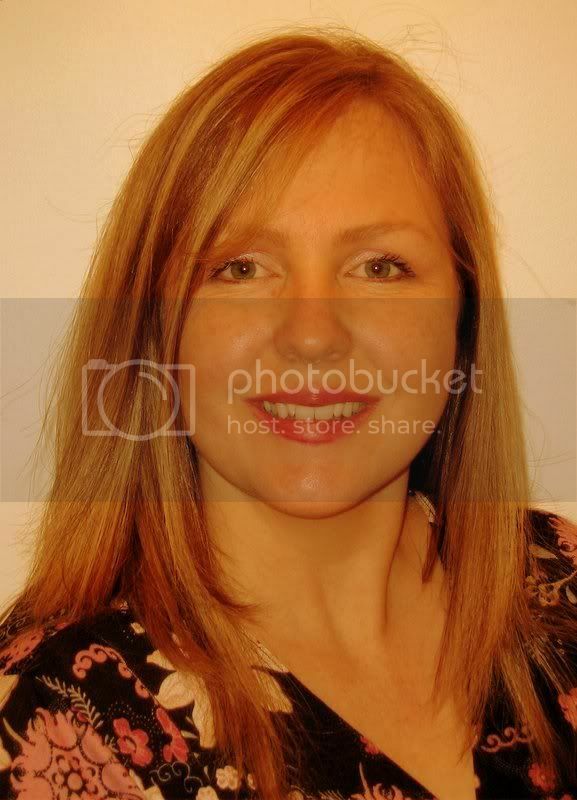 Karen Ball was at the same conference and told me she was using it. We both ended up putting Jayce in several books – much to his amusement. I have a T-shirt that says, "Careful or you'll end up in my novel." I wore it to work in the bookstore at one of the youth services and my granddaughter's very good friend asked me to put her in my next novel. When did you first discover that you were a writer? I think a better question for me is when did I know I was a storyteller. I don’t remember a time when I didn’t like to entertain folks with stories. I know what you mean. I was always telling stories to whomever would listen when I was young. Tell us the range of the kinds of books you enjoy reading. Just about anything. I read nonfiction and research books of course, but also read contemporary, science fiction, historicals, romance, children’s books, memoirs, etc. If it’s well-written, I love it. If it drags on and on with tons of purple prose or textbook/technical detail, I tend to skim it. I have written nearly 80 books total with 30 or so for Heartsong and Barbour Publishing and the rest in various contemporaries, non-fiction, historical and collaborations for Bethany House Publishers. See, I told you she was multi-published. How do you keep your sanity in our run, run, run world? I write. :-) Writing is my escape and my passion. It keeps me even, along with prayer and a passionate relationship with God. Yes, that relationship shines through your stories. How do you choose your characters’ names? Sometimes I run across names while reading or doing booksignings. Recently I was doing multiple signings with Judith Miller and Cathy Marie Hake. We would get introduced to people with unusual names and one of us would say, “Oh, I’m taking that name.” Sometimes characters just seem to beckon you to call them a certain thing. I have actually changed a character’s name in the middle of a book, because they really seemed to be someone else. My daughter, who is a hairdresser, called me last week with the name of a young man she'd met. She thought it would make a good name for the hero in one of my novels. I agree. What is the accomplishment that you are most proud of? If I can claim it as an accomplishment, it would be my 3 kids. They are awesome, and even with all their issues and problems, they are the very heart of me. I’m also thrilled to write books that spread the Gospel of Jesus Christ. What a wonder to be able to share the Lord with people, and see lives changed. What a funny question. I’ve never honestly considered that question but I suppose it would have to be a rabbit, because my husband Jim loves rabbits just about more than any other animal and I would want him to keep loving me. Anything chocolate, crème brulee, steak, fried potatoes, man now I’m getting hungry. Limiting myself to write in a box – or one single style. I talked to a lot of other authors, studied other writing and really focused on what I wanted most to do with each book as an individual project. The same advice that was given to me. Write what you know. Learn what you don’t know, and never give up on the dream. I add to that to seek prayerfully the direction that God would have you go, and then head that direction. A LADY OF HIDDEN INTENT is book 2 in an independent series of 3 books called the Ladies of Liberty series. Each book stands completely alone with only the time period and setting of Philadelphia in common. Each shows a strong female lead character who battles against the injustices around her, while losing her heart to that special someone. Book one is titled A LADY OF HIGH REGARD and came out last July. Book 3 is titled A LADY OF SECRET DEVOTION and comes out next July. Thank you, Tracie, for spending this time with us. I'd love to have you back when book 3 comes out. 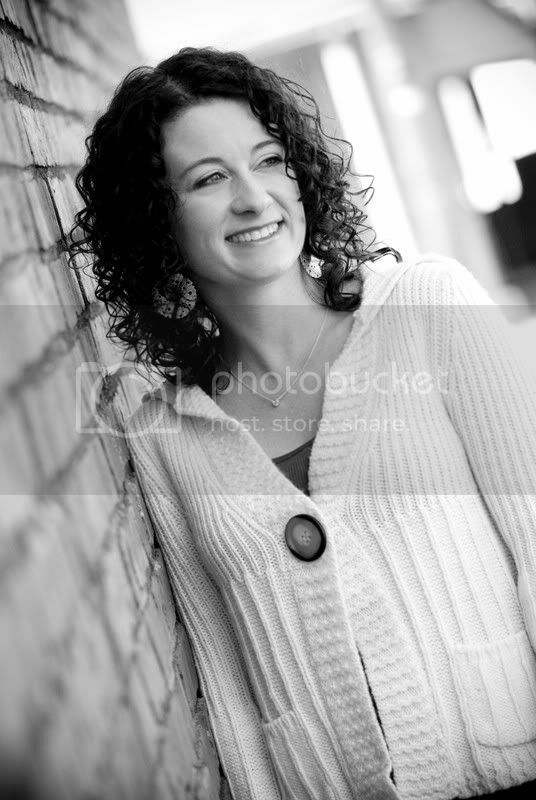 Readers, check out Tracie's web site to find out more about her and her books. Want to win a free copy? Leave a comment. Today, we're talking with James E. Robinson about his nonfiction book titled Prodigal Song. He's also recently signed a contract for his first novel. We'll have him back later to discuss that book. This book is nonfiction. Do you also write fiction? I’ve recently finished my first novel, and it’s being shopped around by a local agent. Actually, although I do a lot of non-fiction writing related to my ministry, my hidden dream since childhood has been to write novels; it’s my favorite kind of writing to read, and if I could write fiction for a living, I’d do it. Well, when people ask me what I “do,” it can get a bit complicated these days! I have been a professional songwriter for years, and as a staff writer for a major publishing company I wrote mainstream country songs for a decade. These days I write the songs I want to write, record them the way I want to record them, and use them as part of the ministry my wife Teresa and I began several years ago, ProdigalSong. I combine my writing and singing with teaching about “addiction as idolatry” in our society, in an attempt to help equip the church to become a better-informed healing community for the lost and lonely…both outside AND inside the church walls. In recent years, I returned to school and became a licensed counselor, and now spend part of my time in private practice. All this has enabled me to communicate and teach about addiction. My own family of origin was decimated by addiction and mental illness, and I eventually left home and entered into a world of addiction and darkness. The disease killed my mother, and nearly killed me. That’s the reason I wrote the memoir, and over time the ministry has evolved out of my own life experience. I got clean and sober in 1989, and met Teresa three years later. I know that she and our two children are nothing les than miracles. For someone who came close to dying more times than I can remember, having this family around me really continues to amaze me on a daily basis. Teresa is a trained singer, and performs with me whenever possible in churches around the country. My daughter is twelve, and my son is eight. I have the best wife and kids on the planet…or am I just biased? I’ve just completed a book that details the ProdigalSong Ministries approach to healing the broken spirit. It’s called Coming Home to a Place Called Hope, and we’re planning to self-publish at first simply because we are in need of the books in our ministry work. An accompanying workbook, co-authored with my dear friend and ministry volunteer Sherry Thomas, will combine with the other book and be used as tools to leave behind with churches after we perform and teach weekend events. These materials will help the church have a better understanding of the issues, and assist them in forming small recovery groups within their own congregations. The memoir is the only one available at this date, from Amazon, my web site, etc. However, the new book/workbook should be available soon. Anyone interested in learning more, or in finding both my writing and my music CDs, can visit our website and sign up for our e-mail newsletter. Then they’ll be the first to know when new materials become available. I also have numerous articles, many of which have been published on Christian websites such as CrossWalk and CBN, available on the site. I have a second novel underway, still in the early stages. I hope to concentrate more on fiction in the coming months, though I will continue writing articles and such. 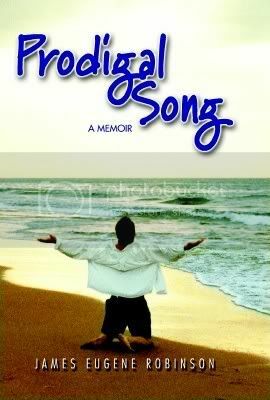 Our ministry site is www.ProdigalSong.com, and my literary agents are currently putting together an “author page” as a link, one we can hopefully have up and running soon. I love reading, cooking, walking in the woods, fishing…art of all kinds, museums, concerts…none of which I have much time for! With two young children, I try to spend most of my free time with the family. They grow up too fast…so I spend a great deal of time these days on a trampoline! Be careful on the trampoline. That's how my teenage grandson hurt his knee and had to have surgery. Why did you write the featured book? God had already drawn me out of mainstream songwriting and into the ministry of sharing my gifts with others. Slowly, He began to give a shape to the ministry, which at first made little sense to me. But now I see He was grooming me my entire life for this kind of work. ProdigalSong uses music, writing, singing, teaching, and counseling to bring a message of hope and healing to those who might feel unworthy of love. As we traveled and spoke, many would come to me following a show and ask if I had my testimony available in written form. Finally, I knew it was time for the lifelong writer who had lived in my head since childhood to sit down and put words to paper. The whole experience was profoundly healing for me; I always encourage my counseling clients to write about their own lives. My story, really, is each of our stories. Each of us has, in one way or another, wandered from our Father’s house, and gone off on various prodigal journeys. What I’ve discovered is that even though my story might be more dramatic than some, and less than others, many more people both inside and outside the church have connected to my journey than I at first imagined possible. The book has often struck a nerve with many people who came from all sorts of dysfunctional family systems. Though not everyone has struggled with addiction, most of us struggle with some form of idolatry…anything we USE or DO that separates us from the love of Christ. So, God has taught me to paint the word ‘addiction’ with a broad brush stroke. I hope each reader can see a bit of themselves, or of someone they love, as they read my story. Thank you, Jim, for spending this time with us. 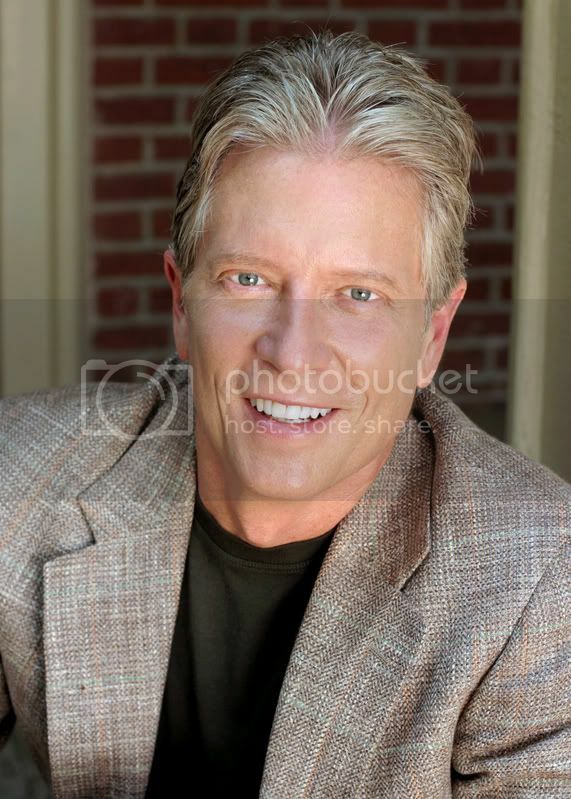 Readers, check out Jim's ministry on his web site. Want a free copy of his book? Leave a comment. But don't forget to come back to see if you won. You could sign up for Feedblitz, under my profile, to make sure you won't miss any of the posts. Julie Lessman is the winner of Promises, Promises by Amber Miller. Kathy at Sumballo is the winner of Raising Dragons by Bryan Davis. 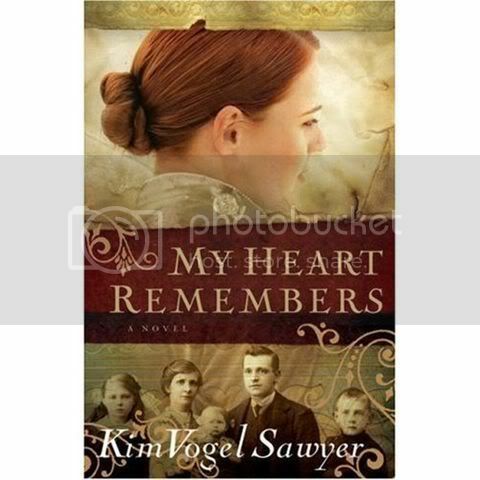 Deborah is the winner of My Heart Remembers by Kim Vogel Sawyer. Please send your mailing address to me, so I can forward it to the authors. A link to my email is in my profile in the right hand column. Check out the other interviews by Roxanne Rustand, Yvonne Ortega, and Lisa Harris. Leave a comment on each for a chance to win a copy of their books. And don't forget to check back to see if you won. If you haven't visited my blog very much, check out the archives. You'll find a wealth of information about books and authors. Another interview will be posted tomorrow. We're back with book 3 in the Snow Canyon Ranch Series--Wildfire. I've read all three books, and you can read my reviews by going to my web site. www.lenanelsondooley.com Click on Newsletter. The reviews are in the March Newsletter. Welcome back, Roxanne. Why do you write the kind of books you do? I love writing about the complexities and challenges of relationships--whether intergenerational, or between friends and family. Add that to the fun of laying out a mystery or suspense, coupled with all the conflicts of finding a once-in-a-lifetime relationship, and I figure that nothing could be more enjoyable! Reading them can be just as enjoyable. Besides when you came to know the Lord, what is the happiest day in your life? I have three happiest days--the days when our three children were born, and they continue to bless me in countless ways. Nothing makes me happier, or more proud, or more fulfilled, than my children. It's a whole lot busier! Deadlines are a way of life, but there's so much more than just writing a book. Trying to complete new proposals, keeping up with promotion efforts, and handling the business part of things takes a lot of time. Teaching online classes, speaking locally, giving workshops, and meeting with other writers takes even more. Writing could be full time, really, but I also love my part-time day job. Blessed Assurance, by Lyn Cote. It's published by Avon Inspire. Wonderful book! Deadly Competition, a book in the Without a Trace series for Love Inspired Suspense, which will be out May, 2009. 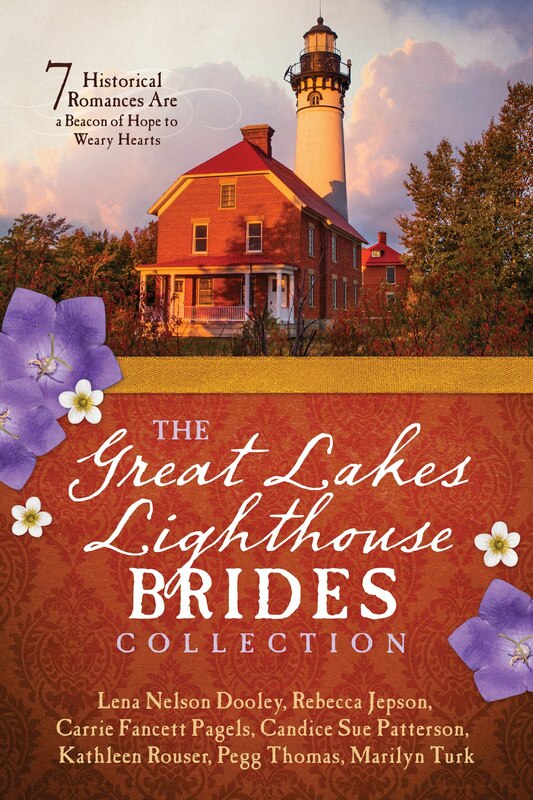 This series should be great, because the other five authors are really wonderful writers (Margaret Daly, Robin Carroll, Shirlee McCoy, Patricia Davis, and Terri Reed.) I felt honored to have a chance to join them in this series. I can't wait to read their stories! A summer in the Wyoming Rockies with my laptop--just looking at those beautiful mountains. A writer friend spent a vacation in Ireland on horseback, and that sounds really awesome, too. I like to choose settings that will lend themselves well to the type of mystery or suspense that I want to write. Really, the right setting can almost become a extra character. My current book, Wildfire, is book #3 in the Snow Canyon Ranch series for Love Inspired Suspense, and is out March, 2008. All three of the books were set just south of the beautiful, rugged Teton Range in the Rockies. I love cooking, and have bookcases overflowing with cookbooks and stacks of cooking magazines. I really enjoy photography, too. But my lifelong love has been horses. I have had horses since I was six years old. There's an old saying, "the outside of a horse is good for the inside of a man" that I think is so true. Just going out to do chores gives me such a sense of contentment! My husband laughs about my vast collection of cookbooks, because I don't use them much. I just like to read them. What is your most difficult writing obstacle, and how do you overcome it? Making myself stay productive when not faced with an imminent deadline. I do page progress charts--rather like United Way temperature graphs, and marking off my progress does motivate me to try to do a little more each day. Keep writing until you finish your story! Write at least something EVERY day. Writing bits and pieces here and there, with long intervals of no writing, makes it really hard to achieve a cohesive, strong story. And it's like muscles--the more you exercise, the stronger your muscles become. The more you write, the more easily the words will flow! Wildfire is the third book in the Snow Canyon Ranch series. 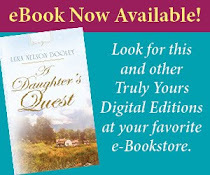 Each book involves one of the McAllister sisters, who faces unexpected dangers when she comes back to the Rockies to help out their elderly mother, Claire. Claire is a tough, determined widowed rancher who left all of her daughters with emotional scars, and she is none too happy to find them rallying to help her! 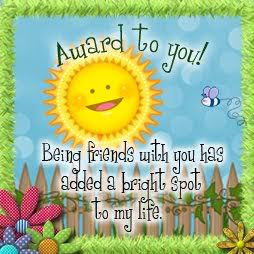 You can find articles, contests, photos, and lots of reviews on my books at www.roxannerustand.com or www.shoutlife.com/roxannerustand. I hope to see you stop by! So, Readers, go over and see Roxanne's web sites. You'll enjoy them. I did. Want a free copy of the book? Leave a comment! There's still time to leave comments on these authors' interviews: Yvonne Ortega, Lisa Harris, Kim Vogel Sawyer, Bryan Davis, Amber Miller. We're talking about a nonfiction book today. I’m an extrovert and love to laugh. Since I’m a “winter,” I prefer the deep vibrant colors for my wardrobe. I’m 5’ tall, but remember that diamonds and dynamite come in small packages. I am divorced. I have one son who is grown up and lives on his own. He insists I drink a lot of water daily and abstain from red meat. I do both. My parents inspire me to exercise every day and stay fit. If they can at their age, so can I. My younger brother and I both share a love for music. I am a contributing author to the book The Embrace of a Father, Bethany House 2006. The title of the chapter I wrote is It’s Part of Life, which tells about how my father’s care of my mother who has Alzheimer’s reminds me of my heavenly Father’s care for us. The more I need God, the more closely He hovers. I haven’t written any other books yet, but they are floating around in my head. How I wish I had more time to write. I am working on one for people with habits that are not in their best interest. We all need to read that. Where on the Internet can the readers find you? 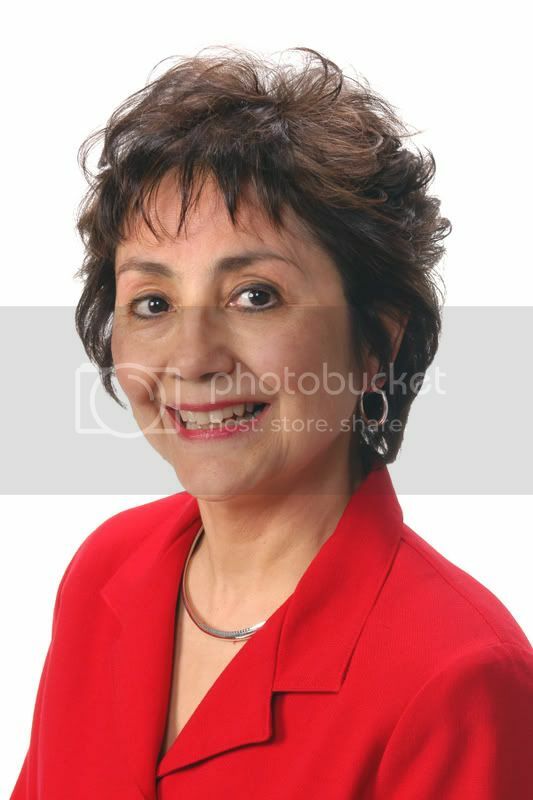 My website is at www.yvonneortega.com. Reading is one of my hobbies. The Bible is my favorite book. I participated in the Bible Memory Association for seven years and in Awana Club for two years. When I walk five-seven days a week, I review my Bible memory verses. I’ve been a children’s leader in Bible Study Fellowship and taught Sunday school and Precept Bible studies. I enjoy the beach. I feel restored after walking at least two or three miles on the beach early in the morning and again late in the afternoon. The sound of the waves refreshes me and stirs up my creativity. I have lots of beach toys and make sand castles and collect shells. I relax as I work in my garden. The kid in me loves to play in the dirt and splash water everywhere. 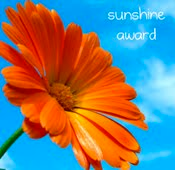 I plant flowers in all different colors and for the various seasons, so that I can feast on yellow mums in the fall, yellow and purple pansies in the winter, and Mexican heather, Blue Hawaii, portulucca in the confetti mix, red or hot pink super tunias, and geraniums in an assortment of colors in the summer. I also have perennials I planted years ago. How I love music. The only way I can motivate myself to clean house is to listen to praise and worship music. 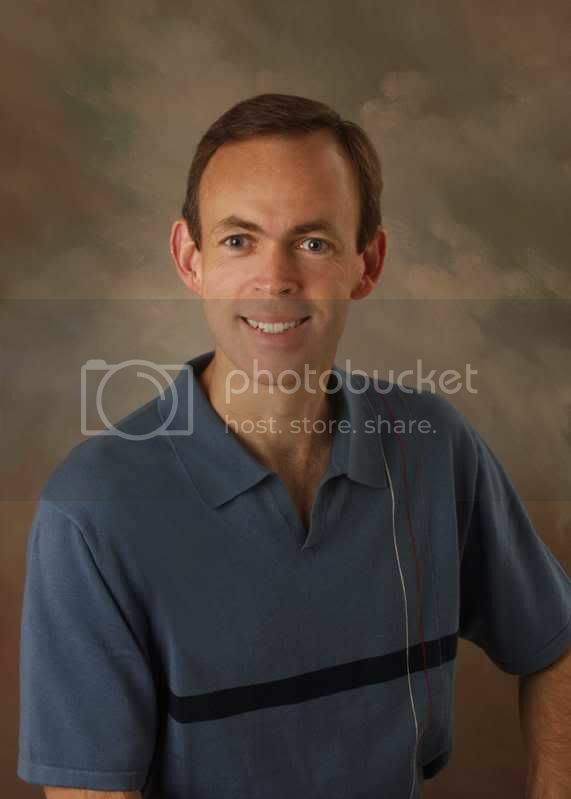 I grew up with classical music and took piano lessons eleven years. I listen to classical music and easy-listening music at work. I also play the keyboard and the autoharp and sing while I work in the house or in my garden. I play the piano monthly for the Sunday morning worship service at a local retirement center. The few times it snows in Virginia, I throw snowballs at the neighbors and make snowmen and angels in the snow. When it rains, I like to put on my knee high boots and splash in the puddles. I wanted a book full of Scripture, prayer, and hope. I also wanted one that with honesty and boldness would address the emotional roller coaster that cancer patients, even Christian ones, ride. I want the reader to be honest with God. He knows what we’re thinking any way and longs to help us. He won’t be disappointed or fall off His throne if we experience fear, depression, or anger. These are normal emotions, and God won’t love us any less for being human. He made us with tear ducts, and it’s OK to cry. God has promised never to leave us or forsake us. We can put Him to the test, and He will pass it. Thank you, Yvonne, for spending this time with us. Readers, if you want to win a free copy of the book, leave a comment. I'm happy to welcome back my good friend Lisa Harris. We're introducing her first Heartsong Presents Mystery release. By the way, I love the new picture of you, Lisa. A verse that has always stood out in my mind is for everything I do, I want to do it in the name of the Lord. My heart’s desire is to be able to use my talents to glorify Him. Wow, that’s hard, because in looking back, I see so many amazing milestones. My marriage, the birth of my three children. . .I’ll stop at those four. What stands out at the moment is how it’s forced me to become more disciplined. Because we are currently living in Brazil without a car, learning Portuguese and home schooling, I’d planned to take off a few months from writing. That hasn’t happened. So while there are definitely no complaints on my side that I have book deadlines, I do have to be extremely disciplined in order to get everything done. Little, if any TV, unless it’s in Portuguese, no Internet surfing, no chatting on line. . .You get the picture. 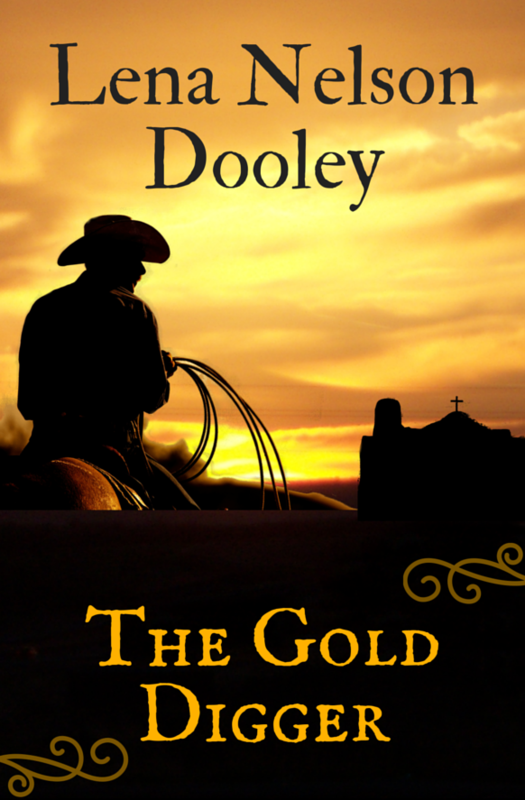 Book two in Brandt Dodson’s Colton Parker Mystery series. An international suspense set in Africa that I’m absolutely loving writing. I can hardly wait to read it. What would be your dream vacation? Up until now, my favorite vacation has been going on safari in Africa, but being in Brazil, I really want to take a cruise to the Antarctica. Unfortunately, it’s way too expensive, but we are planning to visit the Amazon before we leave which really excites me as well. I think the setting needs to be like a character in the book. I like to use a familiar place, but normally make it a fictional so I can add my own ideas and depth to the location. Right now, I’m enjoying Africa as a setting and the chance to pull together many of the places I’ve seen into one exiting (and fictional) local. I’d spent it with my mom. It’s hard living so far away from her, especially during the holidays. I'm sure that's right. What are your hobbies, besides writing and reading? I love to try out new recipes when I have the time. And while it might not be a hobby, I spend a lot of time playing games with our kids like Mexican Train and Monopoly and reading together. I love Mexican Train, Monopoly, and reading, too. What is your most difficult writing obstacle, and how do you overcome it? Probably fatigue. While I’ve become more disciplined, I’ve also learned to give myself a break and get the rest I need. I don’t have to be superwoman. Don’t give up. This is a tough business to be in. Join a critique group, attend conferences, and most importantly, write. Then write some more. Recipe for Murder is book one in my Cozy Crumb mystery series and will be released on January 18th from Heartsong Presents: Mysteries. 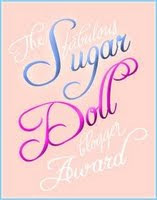 Check out their site for details on how to join this exciting new book club at www.heartsongpresentsmysteries.com . Blurb: Pricilla Crumb’s guest list has just turned into a suspect list. . .for murder. Pricilla never expected to be involved in a real life mystery, but that’s exactly where she finds herself when she joins her son at his hunting lodge in the beautiful Colorado mountains. Laced with a spiritual message and a sprinkle of romance, this unconventional busybody follows one lead after another, dishing up laughter and suspense along the way. I subscribe to Lisa's blog on Feedblitz. I love it when her posts come. They're all very interesting. Remember, readers, leave a comment for a chance to win a free copy of Recipe for Murder. And don't for get to check back in a couple of weeks to see if you won. We Really Do Love to Have Winners!!! Nancy is the winner of Leaving November by Deborah Raney. Tetewa is the winner of The Love Song by Anita Higman and Janice Thompson. Mindy Obenhaus is the winner of Awaken My Heart by DiAnn Mills. I need you to send me your mailing address, so I can forward it to the author. If you don't want to miss any of the interviews or winner announcements, sign up for FeedBlitz in the right hand column. 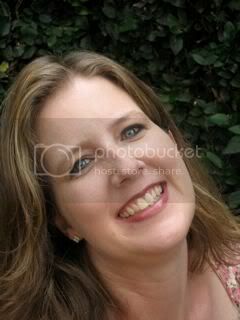 I'm very pleased to welcome Kim Vogel Sawyer back to my blog. I just finished reading the featured book My Heart Remembers, and you won't want to miss it. It's truly well-written. If you want to read my review of it, go to www.shoutlife.com/lenanelsondooley It's my latest blog on Shoutlife. Welcome, Kim. Tell us about your salvation experience. I had the privilege of being raised in a Christian home, so the realization of my need of a Savior came early. When I was eight years old, I invited Jesus to enter my heart. Four years later, a bit more mature and in better understanding of what it meant to live a Christian life, I rededicated my life to Jesus. He has been my constant companion, ever-present help, and bringer of peace for many, many years. I can’t imagine living without Him. I know what you mean, having accepted Him into my heart as a seven year old, then later really understanding what it means to make Him Lord of my life. How did you and your husband meet? This is too funny. James and I were a blind date also. You’re planning a writing retreat where you can only have four other authors. Who would they be and why? Oh, wow, this is too hard! I can think of some I’d choose for the sweet fellowship—so many of my writing friends are “on-line” rather than “face-to-face” friends, so the opportunity to get together would be wonderful. Others I would choose because I admire their writing so much and would love to sit at their feet and learn from them. And then there are those who are new in the craft, floundering to find their footing, and I’d love to give them a boost and help them along. So…I don’t know what to say! I’ve had to put the singing part on hold for a while—waiting for a throat ulcer to heal. God actually called me to speaking ministry back in 2002. I really fought it—I don’t like being in front of people, and I didn’t feel as though I had anything worthwhile to say. But after literally months of battle, I finally gave in and said, “Okay, Lord, I’ll do it, but you’ll have to give me the words to say.” In 2004, He reached down through a prayer warrior named Brandilyn and brought emotional and physical healing into my life—in other words, He gave me a testimony worthy of sharing. So now I share it, and He receives the glory. I would have to say my most embarrassing moment was at the Crown Uptown Dinner Theatre in Wichita, Kansas. The theatre is fairly dark, my husband was wearing a dark blue blazer, and I mistakenly slipped my hand through the elbow of a dark blue blazer and snuggled in…only to realize that blazer was not being worn by my husband. When I realized I was cuddling up to a stranger, I’m pretty sure I turned red enough to light the place. I excused myself and fled. My husband thought it was pretty funny; I did not. If that’s your passion, do it! I don’t believe I’ve ever heard someone say they regretted writing a book, but there have been plenty who’ve regretted they didn’t. So get the words down! You’ll be glad you did. Just go to http://www.KimVogelSawyer.com –I enjoy visitors! Kim, thank you for spending this time with us. Readers, you will not want to miss reading this book!! Leave a comment for a chance to win a copy, but remember to return in a couple of weeks to see if you did. If you don't win, go out and get a copy. Our author today writes for the young adult market, but any other fans of Sci-Fi and Fantasy would love his books. If you haven't tried any Sci-Fi or Fantasy, maybe now's the time. Welcome, Bryan. My brother's name is spelled Brian, but I love guys with that name. Tell us how much of yourself you write into your characters. My protagonists will usually possess a world view similar to mine as well as a determination to do what’s right, at least according to the moral code he or she has at the time. My other characters are usually quite different. About thirteen years ago, I began writing a story to help teach our kids how to write. They were all homeschooled, so I was looking for a good method to instill a desire to write. As the story I was writing grew, I developed a passion for story creation that hasn’t waned to this day. I enjoy stories with strong, moral characters, rather than foolish protagonists who do stupid things. I like complex plots that don’t spoon feed their themes. I want descriptions that flow with the action rather than those that make me sit and read page after page of boring details. I have written the four-book Dragons in our Midst series, two books in the Oracles of Fire series, two non-fiction books for men, The Image of a Father and Spit and Polish for Husbands, four children’s picture books, and three unpublished, contemporary novels. Who says I’m keeping my sanity? Actually, my family is so supportive, the pressure isn’t too bad. I get to work at home, set my own schedule, and, since my kids are homeschooled, I get to take one or more with me when I go on book tours. It’s a great life! Sounds like it. How do you choose your characters’ names? Some just occur to me and just seem to fit. With others I search for original meanings. Since I have so many fantasy characters, I can choose odd names with obscure heritage. I have also used a fantasy name generator on the Internet. Having seven children who have, so far, grown into godly young men and women. They are precious jewels, and I love them very much. I am thankful to God for His guiding hand. I enjoy so many foods, I can’t pick one, but most Italian dishes are great, and I love a seasoned, broiled fish. And I love cakes and ice cream! Get a seasoned author to critique your work. Develop a thick skin. Be willing to take advice. Realize that good writing is very hard work, so if you’re hesitant to bleed over your manuscript, you might be in the wrong profession. If you have a passion for a story, never give up on it. That passion is there for a reason. 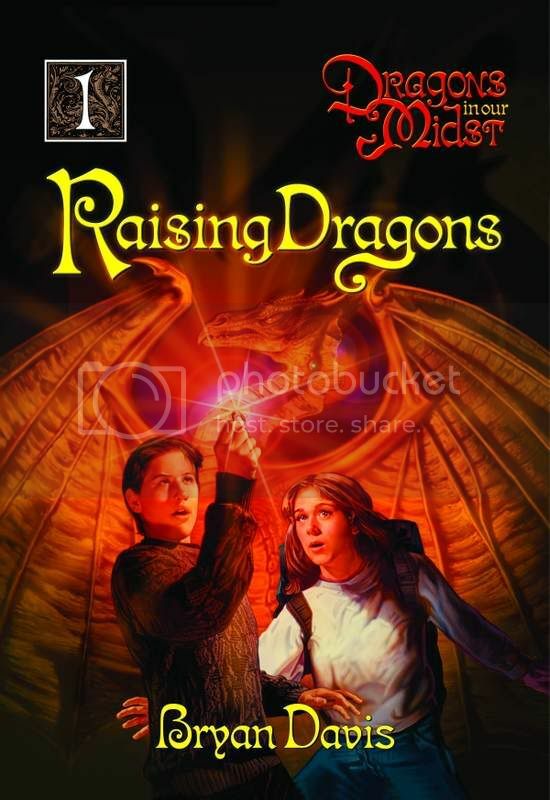 Raising Dragons was my first novel and marks the beginning of a fantasy journey through eight books, four in the Dragons in our Midst series and four in the Oracles of Fire series. Two unrelated teenagers in our world and our time learn that they each have a parent who was once a dragon. The parents had been transformed into humans by a miracle back in the time of King Arthur, and since they retained their dragon genetics, they were able to live for centuries. When they finally married and had children, their offspring had dragon traits. A dragon slayer, who also survived those centuries, has tracked down the dragon-humans and their offspring. He will stop at nothing to kill them all. Wow! Sounds exciting. How can readers find you on the Internet? Bryan, thank you for spending this time with us. Readers, check out his web site. If you want a copy of his book, leave a comment. Today, I'm introducing you to one of my good friends, Amber Miller. 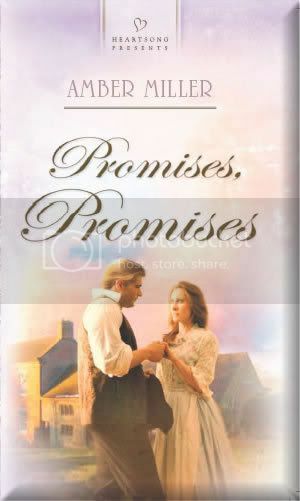 Her debut book Promises, Promises is a new Heartsong Presents romance. Welcome, Amber. Tell us how much of yourself you write into your characters. As most authors would likely say, there is a little bit of themselves in every character. For me, it’s my perception of the characters I create and how they might react in any given situation that is an extension of myself. That perception is based upon my experiences and observation of other people, and a part of me can’t help but come out in some way through my characters. That would be years ago. I wrote my first short story in 5th grade with several accolades from both my teacher and my fellow students. It was even entered into a Young Writers of America contest and placed but didn’t get selected. Ever since I learned to read at age 3-1/2, I’ve been telling stories. Writing seemed to be a natural progression from the verbal. Although I continued it as a hobby for years, it wasn’t until 1997 when I wrote my first fan fiction and received a lot of encouragement and feedback that I realized I might be able to make something of this ability. It took me another 5 years before I took the step professionally to begin a career. Now, 5 years after that, I’m a published author and taking this rather scary step into the world of authorship. For the most part, I read historical, but I also enjoy contemporary romantic comedy, women’s fiction (or issue-driven stories) and cozy mysteries. Because my reading time is more limited now that I’m writing, I have to be more selective. What I look for is a good story, well-developed characters and a believable situation where I can relate to what the characters are experiencing or accept that they react the way they do. I want characters to have jobs, be well-grounded in faith and family and have strong motivations for their actions without seeming two-dimensional. Who says I’m sane? :-) Seriously, though, I just take things one day at a time and try to not worry about tomorrow. As the Bible says, tomorrow will take care of itself. Worrying won’t add anything to my life, so I do my best to do what I can and leave the rest to God. I have found that if I do the best that I can, everything else has a way of working out. I also always take time each night to unwind and relax before going to sleep. I make certain to do something just for me and have improved my ability to say "no" to avoid over-committing myself. Of course, now that I am shifting gears into the world of publishing, I’m sure I’ll be facing those challenges all over again. I only pray I can continue to maintain peace despite the hectic pace. I have two books that provide both the origin of the name and nationality as well as the Biblical meaning behind it. When I select my names, I usually run through a few in my mind, then I go to the books to look up their meanings. If I have to decide between more than one name for a character, it all comes down to the meaning. I select the one where the meaning matches the personality and the motivation of the character. That would be completing my first book, because not only did it prove to me that I could finish a book, but it also provided me the confirmation that I was in fact a writer. I learned so much in the writing of that first book. Although it has yet to see a contract attached to it, I believe it taught me a lot about myself, about my goals, and about where I want to go in my career. It also confirmed my talents that God has given me and showed me that I can use them successfully. Without a doubt, an eagle. The primary reason would be that when eagles are faced with a storm, they don’t allow the storm to bog them down or deter them from the path they’re taking. They also don’t land and wait for the storm to pass without fighting back. Instead, they fly through the storm, fighting the winds and rain and obstacles until they are above the storm and can continue on their path. They also mate for life, and I’m equally committed to my husband in the same way. Cheese. I’m not sure if that can truly be considered a food, but if you put cheese on something, I believe it makes it much better. Obviously, there are some foods where cheese doesn’t complement it, but in a general sense, it’s my favorite. If you’re looking for a food type, I’d have to say Italian, but not the ones that are loaded in the sauces; rather, the ones that have the vegetables and vinaigrette and lighter sauces with the spices and seasoning. I stated some of it above when I first learned I was a writer, but continuing from the I decided to pursue a professional career by joining ACFW, I have done everything I could to improve my skills and develop my craft. I bought writing books, studied a wide variety of fiction, conversed with other writers and authors, attended conferences and soaked up as much information as I could handle. Four years after beginning that pursuit, I sold my first book. Was it easy? Not in the least, but the results have more than paid off the hard work. It took a lot of determination, patience, resilience, and making myself put my rear in the seat, even when that was the last thing I wanted to do. That would have to be recognizing my pet mistakes and learning what to do to correct them and not make them again. Thankfully, the general issues like point-of-view or showing vs. telling didn’t present as much trouble as they do for a lot of beginning writers. For me, it’s often the lack of description of the surroundings and setting the scene that caused holes in my stories. Dialogue always came easy as did the progression of a scene. But establishing unique descriptions or characteristics for my characters to make them individuals in their own right and not cookie-cutter or two-dimensional continued to vex me. So, I went back to studying other fiction books to see how other authors did it. I also asked Linda to point out to me areas where I could develop a character more and to give me an example of one scene before and after. The Writer’s Digest books on Characters, Description and Setting also were of great help to me. Other than that, I sent my manuscript or troubling scenes to readers and asked them to make comments on what worked or didn’t work for them. Once I got that feedback back, I read it over, then stepped away for a day or two from my book to digest it. When I returned, I had a fresher outlook and perspective that enabled me to do what was needed. Sometimes, it was a small fix, and other times it required multiple alterations throughout the book. Don’t approach editore in the bathroom and try to pitch your idea or hand them your manuscript! LOL! Seriously, though, study the books that the house you’re targeting publishes, know what they are looking to find, ask questions of them or of other authors already published with their house, and present yourself in a professional manner so that they are interested in you as well as what you write. As an agent told me just last year, editors are often looking to connect with you as a person as much as they are with your writing. After all, the marketing department can’t just sell a book. They have to sell the author too, and it’s easier to market a book if the author is approachable as well as willing to assist in the marketing. Establish your web presence and start the word-of-mouth beforehand to get potential readers interested. Register your domain name now and set up a web site or blog, even if it’s just one page. If you’re serious about writing, you should have a web presence set up yesterday. This will give readers a chance to connect with you and learn about your. It’s happened before that if an editor is down to choosing between two potential authors, and one author has an active web site where the other author doesn’t, the author with the web site usually wins. You can do the site yourself with the free resources out there, or hire a professional. It can be simple or it can be elaborate based upon your goals. Anything you can do to make the publishing house’s job easier, go for it. Gone are the days when an author submits a book and sits back while the publisher does all the work. So, work on your presentation to people at the same time you work on your writing skills. 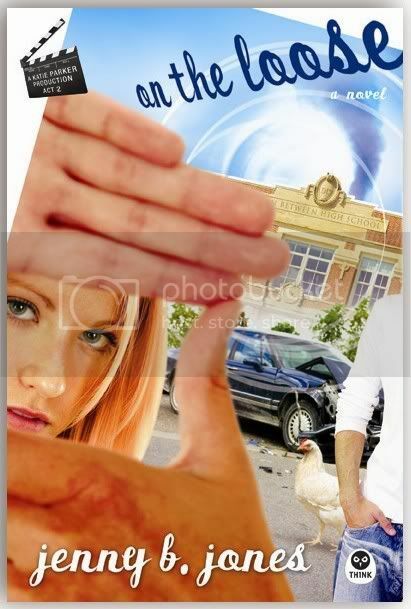 It is the first in a 3-book series set in Delaware. These books are part of Heartsong Presents’ State Series, and I am covering the historical beginnings of the little, but significant state of Delaware during the Colonial period. Here is a synopsis: Has God forsaken Raelene? Raelene Strattford knows God has promised never to leave or forsake her. But after the catastrophic deaths of her parents, she doesn’t believe it. What kind of God would take a girl’s family and leave her alone in a wild land where women have no voice? Gustaf Hanssen has admired Raelene from afar for a while, but his poor attempt at courting her in the past has made him unwelcome in her life. When Gustaf promises Raelene’s dying father that he will take care of her, he finds himself bound to her happiness, her success, and her well-being in ways he never imagined. To keep his word, must Gustaf really oversee all of Raelene’s affairs, find her a husband, and maintain her farm, while she does nothing but scorn him? Can God reach through Raelene’s pain and self-centeredness and give her the love that awaits, if only she will accept His will? Thank you so much, Lena, for featuring me and my first book. It’s great to be on this side of the interviewing process after two years of spotlighting other authors on my blog as well. Here’s to continued success for us both! Want a copy of the book? Leave a comment. Don't want to miss a single interview? Sign up for Feedblitz.